There are few things more exciting than a graduation ceremony. It represents accomplishment, achievement and an investment in a better future. 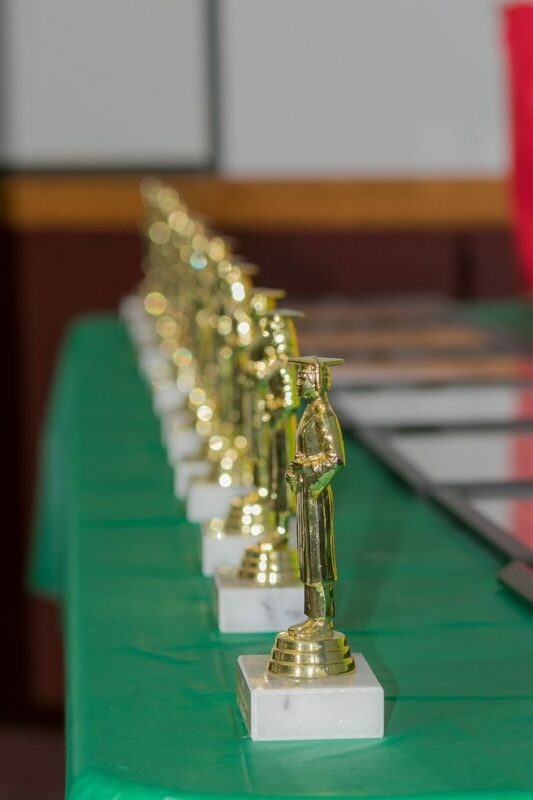 For families in the Youth Crisis Center’s (YCC) SNAP® program, SNAP® graduation is a time they can reflect on how far they’ve come over the past 13 weeks, and to know they are not alone in their family goals. 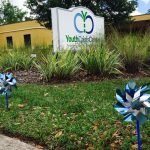 Sterling Hurst, the SNAP® Coordinator at YCC, finds it rewarding to see the progress the kids and their parents have made, along with the bonds they form with other families. “When they come into the SNAP® program, they are open to see what will work to build a better relationship with their child,” said Hurst. 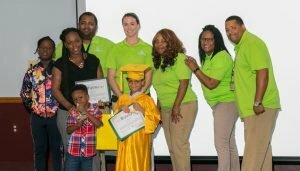 In early April, seven families participated in this unique graduation ceremony. Like other graduations, there were caps, gowns and diplomas, but this ceremony also had a SNAP® version of Family Feud. The children challenged the parents, answering questions based on topics learned in their SNAP® class. 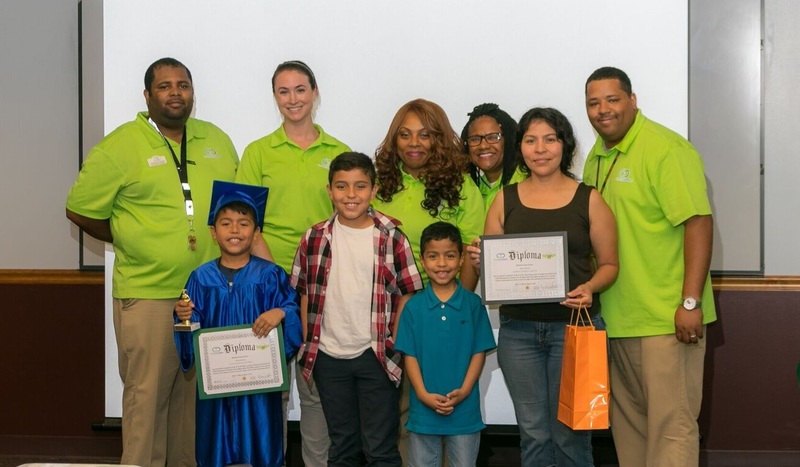 During this ceremony, diplomas were presented to both the children and their parents, along with a trophy and gift bags. The graduates then heard words of encouragement from their SNAP® facilitators about the progress they had made during the 13-week program. “We take the time to highlight where they are and the progress they made. Some don’t realize how far they have come until we highlight the challenges they faced when they first came in the program and where they are at now,” added Hurst. For parents who participate in the program, it’s an opportunity to take advantage of a support system. This system includes other parents who also receive SNAP® skills from professionals on communicating with their child in positive and constructive ways. In many cases, school representatives work with SNAP® facilitators by referring children and their parents to the SNAP® program located at YCC. Additionally, teachers, counselors and administrators work with facilitators on getting SNAP® into their schools and classrooms. Schools are selected based on interest and availability. The program generally requires 45-60 minutes and can accommodate a minimum of five, or up to 30, students per session. “The SNAP® program is a process, and, in a lot of cases, 13 weeks may not be enough for a full transformation, but it does give measurable success to help them continue on the right track,” said Hurst. For some parents, the SNAP® program is just the start of the journey to help and heal their families. 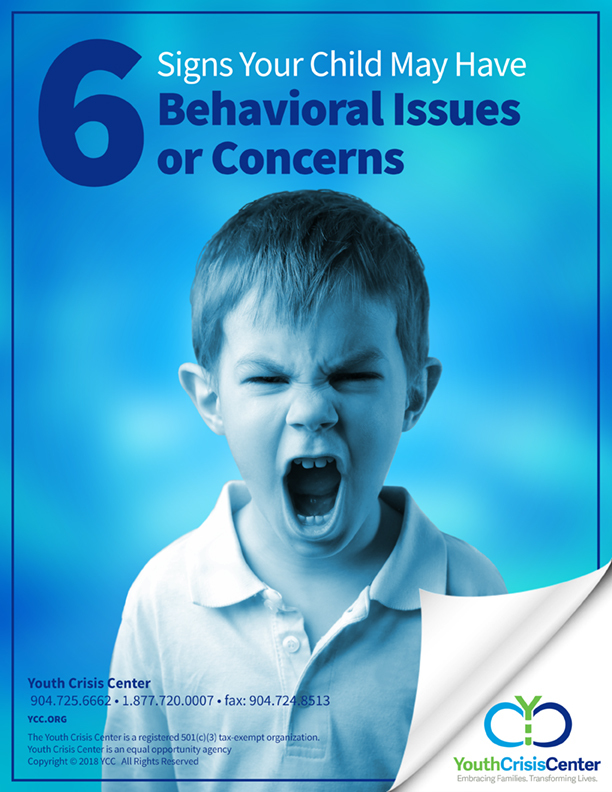 Several will continue on to additional therapy sessions provided through YCC’s Outpatient Behavioral Health program.